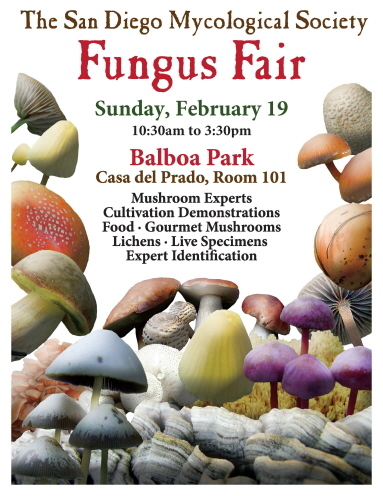 The San Diego Mycological Society welcomes park visitors as well as local residents at the San Diego Wild Mushroom Fair to be held at the Casa del Prado Theater, 20th of February, 2012. The event is full-packed with various activities such slide shows, lectures, as well as cooking and growing demonstrations. Visitors may bring their own mushrooms at the fair for identification. Also, fair vendors are available offering various products such as food, fresh wild mushrooms, clothing, posters, cultivation kits, books, and other mushroom centric items. Beginning January 2012, volunteer activities have been set every 2nd and 4th Sunday of the month to help maintain and preserve the San Diego River Garden for the benefit of the local community. The River Park foundation encourages volunteers, sponsors, and groups to take part in various activities including watering, weeding, path maintenance, as well as other easy gardening projects, with all the necessary tools provided. 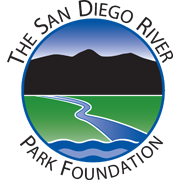 For interested parties, dial 619-297-7380 and look for Doug, or visithttp://www.sandiegoriver.org/riverGarden.php for more information. The Chinese Lunar New Year is fast approaching and the local Vietnamese community is hosting a festival to uphold colorful Vietnamese tradition. Experience traditional rituals, enjoyable performances, contests, rides, food and merchandise in Vietnam Village in this 3-day event hosted by the Vietnamese American Youth Alliance. With an expected 2000 people attending each day, this event will surely never get dull. September 23rd, 2011 brings the city’s vibrant food scene to life for one week of delicious dining showcasing the freshest ingredients, most flavorful dishes and tastiest culinary gems that San Diego has to offer! 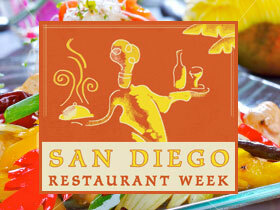 Home to some of the world’s most delectable restaurants and master chefs, San Diego proudly welcomes back San Diego Restaurant Week where you can choose from over 180 of San Diego’s most delightful and delicious eateries for a three-coursedinner prix-fixe menus for just $20, $30 or $40 per person, depending on the restaurant. For the first time ever San Diego Restaurant Week will be extending this delicious dining extravaganza beyond dinner by introducing a new meal into the mix – the new lunch program will give daytime diners the opportunity to feast on two-course lunch prix-fixe menus for just $10, $15 or $20 per person depending on the restaurant. With lunch as an option, foodies can now enjoy the vibrant and distinctive eateries of San Diego at any time of day. San Diego Restaurant Week is the best time to relax at the newest tapas bar one night, dine al fresco by the bay the next, and then end the week with an indulgent dessert at one of the city’s most remarkable five-star restaurants. Below is a list of participating restaurants and their individual dinner price points, with new places being added daily. Participating in San Diego Restaurant Week is easy – there are no passes to buy, no coupons to carry and no cards to punch, only a quick call to the restaurant of your choice to make reservations; then simply dine out during the week of September 18th to the 23rd. This past January, over 140,000 people participated in the event and even more are expected in September, so reservations are strongly recommended to make sure you are able to sample your favorite flavors! So mark your calendars and join us in discovering why San Diego is quickly becoming one of the nations most diverse and sophisticated culinary destinations! For more information and a complete list of participating locations in San Diego Restaurant Week, please visit www.sandiegorestaurantweek.com or call 619-233-5008. Learn all about Dark Chocolate’s health benefits. Spend a day on Mission Bay either as a participant or spectator in San Diego Dragon Racing. The Festival is free and open to the public. Our Dragon Boat Festival is for everyone. Have friends, family and fans come down for the day and cheer you on! The location of our Festival is ideal for viewing the entire race from start to finish. When you are not racing, join your entourage in enjoying our Asian Pacific Heritage Festival on land. 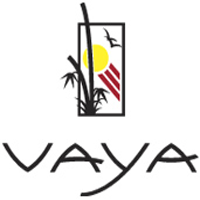 Try out Asian cuisines, shop for arts and crafts, appreciate the works of Asian artists and craftspeople. Entertainment, food, arts and crafts of Asian Pacific Heritage Festival continuous all day. Each team will be made up of 16-paddlers. Groups can sign up as 16-paddler teams. Those who are not part of a group will be placed on a team. And those who can only stay for part of a day will be assigned a a replacement. Depending on how your team fares, you will paddle in at least two races and as many as six races. Using the “round robin” elimination method, the winning team in one heat will compete against the winning team in another heat until we are left with two competitors. The top three teams will rank First (gold), Second (silver), and Third (bronze) place. 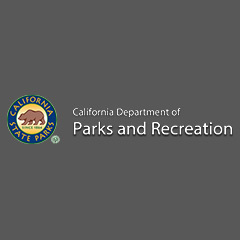 SDDBT will provide paddlers with on-site training on the day of the race. No experience is required. All paddlers in the Festival are novice. San Diego Alliance for Asian Pacific Islander Americans & San Diego Dragon Boat Team.